Mellow Monk® presents a new addition to our lineup: Yuzu Dream™, a blend of artisinal green tea and sun-dried yuzu peel. The sublime flavor and fragrance of yuzu are well known in the culinary world and also blend spectacularly well with green tea in the form of yuzu ryokucha ("yuzu green tea"). 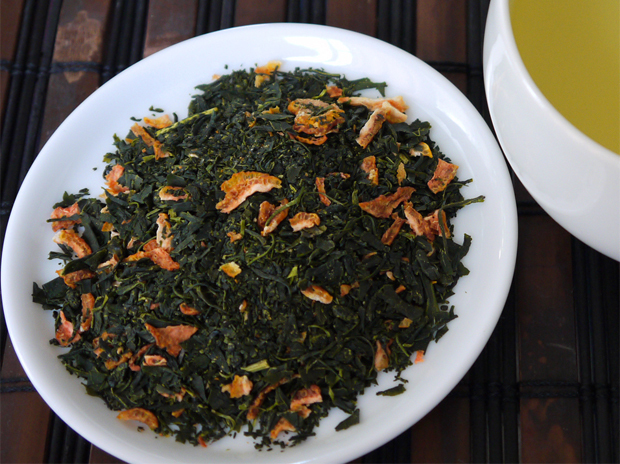 One of our grower–artisans in Kumamoto, Japan, pairs sun-dried yuzu peel with his award-winning green tea. The yuzu is specially prepared to capture all of its tasty essence and blended in just the right proportion with the tea by the grower–artisan himself. The result is an exquisite experience that must be brewed to be believed.